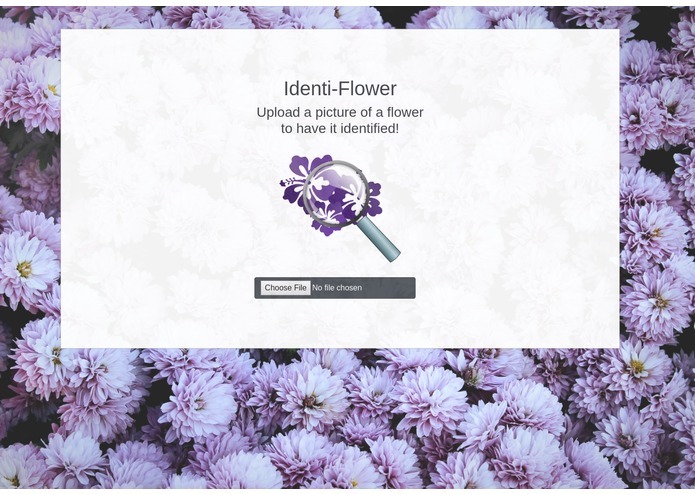 Due to the limits of the community license for access to Clarifai, this webapp is currently only capable of recognizing ten different kinds of flower. I believe it does a decent job regardless. Please accept my most sincere of apologies if your favorite was not included. A large portion of the inspiration for the creation of this project came to me as I was thinking back on gardening with my grandmother. At one point, we had lost all of the markers that are supposed to tell you what the plant is, how often to water it, etc. Figuring out what each plant was took a fair bit off guesswork and a handy reference book. I can imagine other scenarios in which the app might prove useful. For example, imagine seeing a flower that tickles your fancy while you are out and about. Unless you are really serious about flora, you will likely not know what that plan is. And we all know you can't buy seeds for a mystery flower. Equally influental was the technology presented to me through this hackathon. 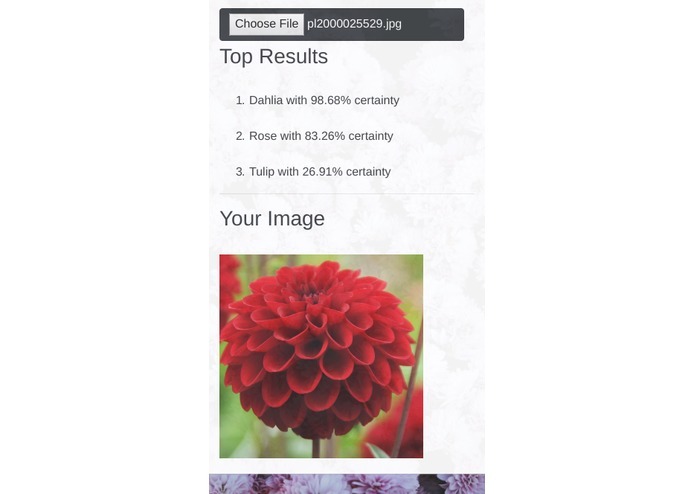 In particular, I found the Clarifai API to be attractive. 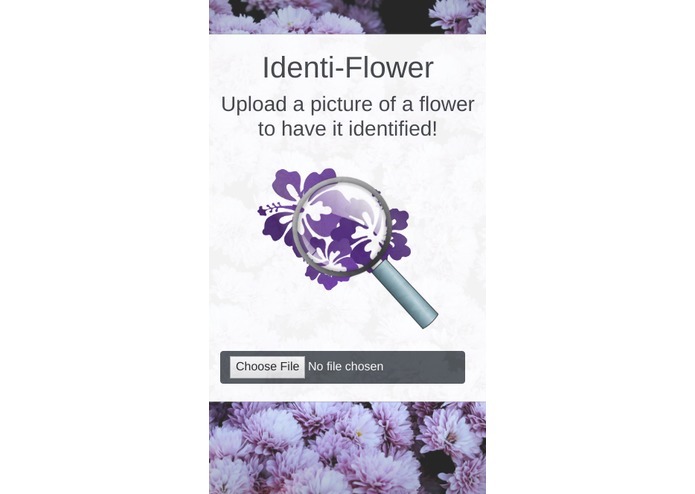 Before creating Identi-Flower, I had never used an API and had never created a responsive web page. The fact that the API involved machine learning was another bonus. I am very happy with the end result of my project and am even happier with the feeling that my understanding of each concept has increased significantly.